Brea McBride began her training in her hometown of Ironton, Ohio at Yvonne Dekay’s School of Dance. She has also lived and studied in New Orleans, San Francisco, and New York City. After graduating from the American Musical and Dramatic Academy in NYC, she was hired as a Mainstage Performer for Disney Cruise Lines. Brea began her career as a dance educator at The Cynthia King Dance Studio in Brooklyn, NY. 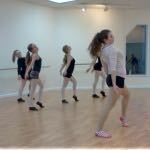 She has taught and choreographed for several local VT studios since moving here in 2004. Proud moments include restaging a children’s play for the Shelburne Players, choreographing a piece for the Haunted Forest, and working with the children at Camp Dream and Camp Kiniya. Her most recent professional experience as a principal ballerina in Ballet Vermont’s production of Bee’s and Friends was incredibly thrilling. Brea credits much of her success in opening her own studio to the completion of the Start-Up Course offered through the Women’s Small Business Program. Chloe Brock was born and raised in Vermont. She started dancing in Stowe, Vermont at Stowe Dance Academy. She was a member of the TRIP DanceCo., a traveling competition team. After graduating from South Burlington High School Chloe went to college for business and got a job teaching young girls and boys to dance at a local elementary school in Williston, Vermont. She loves being such an important part of Infinity Dance Studio! Karlee Dixson is currently a business student at CCV, grew up in Vermont and has been dancing since she was about ten years old. She started her dance career at Up North Dance Studio (UNDS) and plans to continue through college. Karlee has been competing with UNDS since the age of 13 and just started her first year with the 18+ competition team. Her training consists of Freestyle and several Hip Hop classes. As a Junior in high school Karlee took a break from competition team and did cheerleading but still continued with her regular classes at UNDS. Karlee loves performing, is extremely passionate about dance while also very excited to begin her new adventure teaching Hip Hop classes at Infinity Dance Studio. 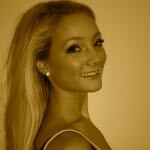 Leah Smyth has been dancing since the age of five. Most of her dance instruction took place at Dance Connection, where she participated in several regional competitions under the instruction of Brea McBride. In high school, she was also a part of BFA St.Albans competitive dance team. Currently she is attending SUNY Plattsburgh to pursue a degree in childhood education and special education. 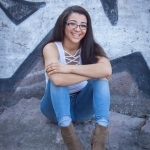 She has been continuing her dance education in Plattsburgh as a member of SUNY Plattsburgh’s Dance Corps. She was the President this past year, and planned and prepared the team for an end of the year recital.